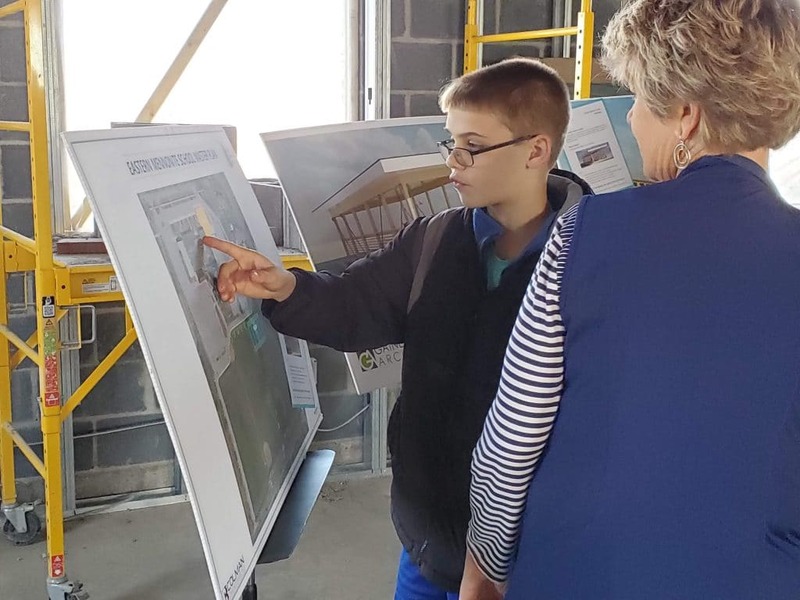 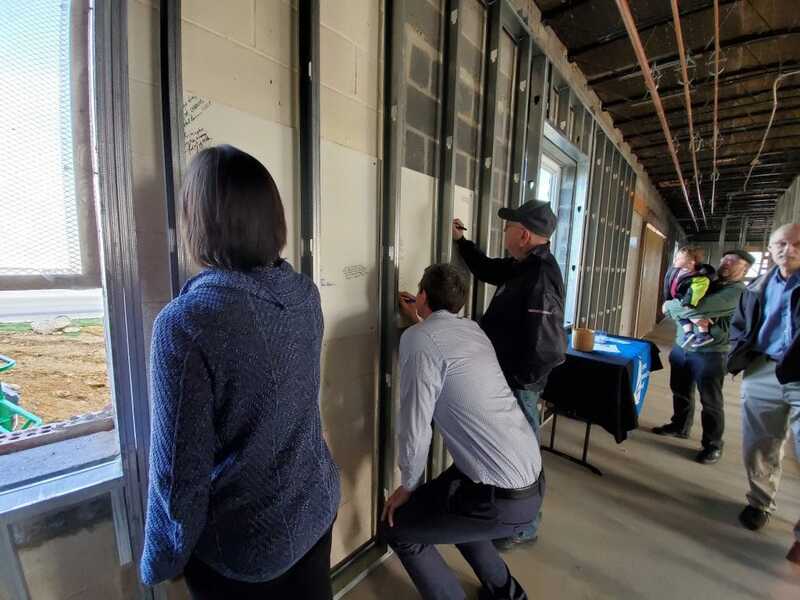 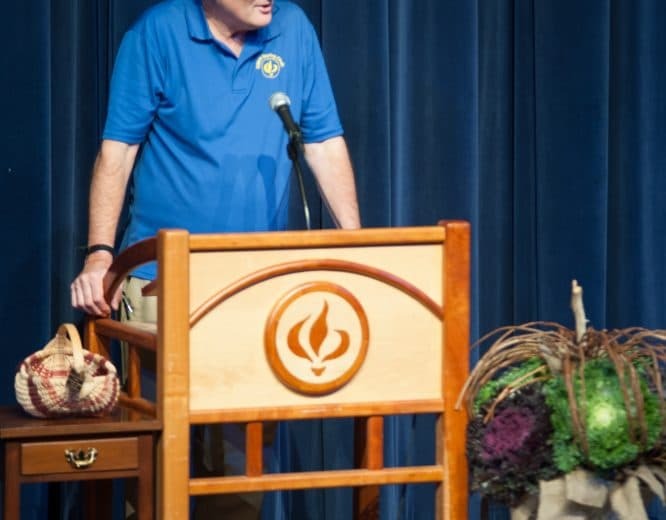 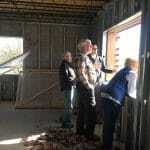 Board members, donors, faculty and staff left blessings during a walk through of the the building renovation for Eastern Mennonite Elementary School on April 1, 2019. 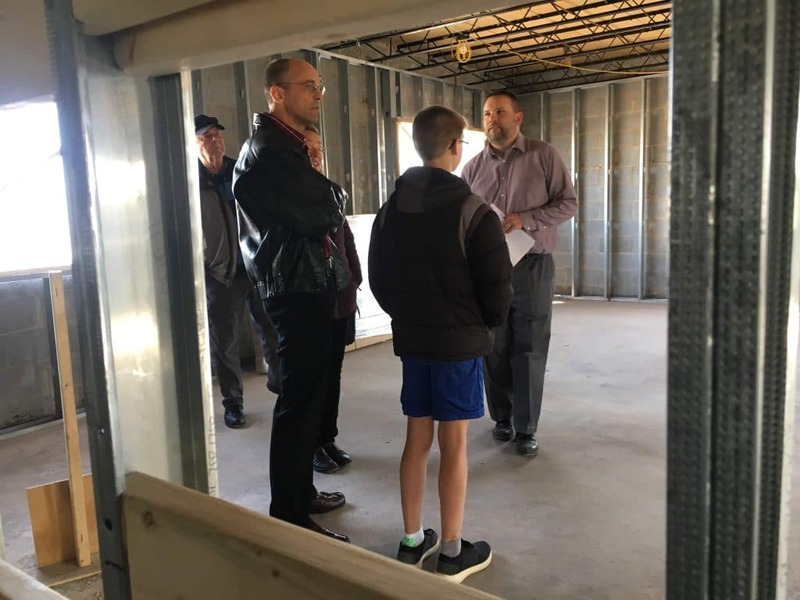 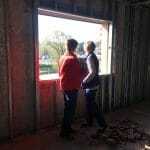 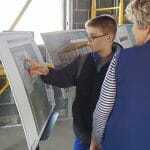 Mike Stoltzfus, director of business affairs, answered questions as visitors got a first-hand look at the progress of the renovation of the former MennoMedia building, which the school purchased two years ago to renovate for its K-5 program. 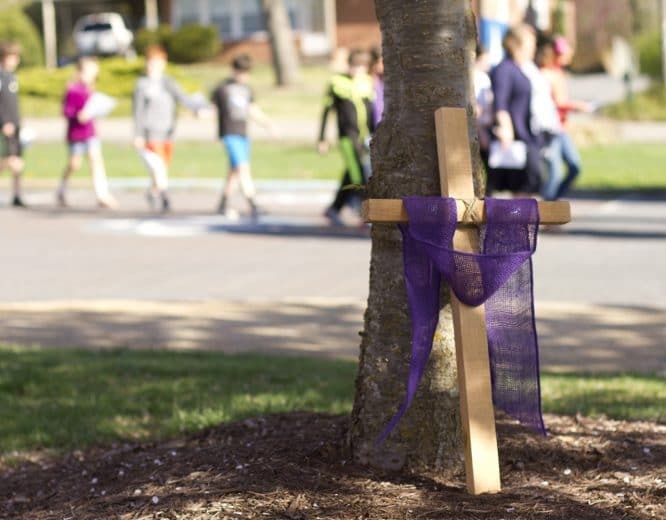 In mid March the school celebrated gifts and pledges by donors totaling more than $3.5 million to the Let the Children Come campaign. 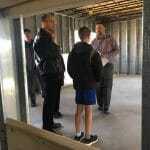 This assured financing of the move-in goal to build out classrooms, a welcoming entrance, and music and art rooms. 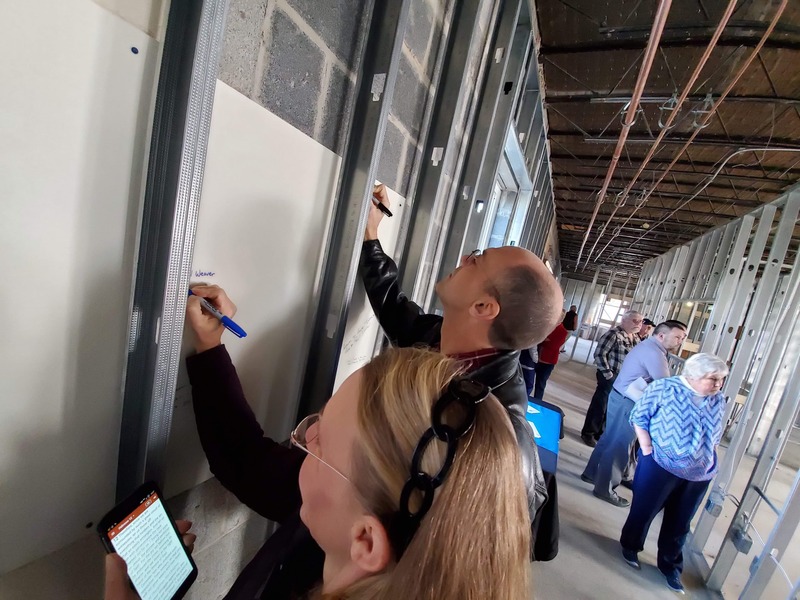 Many guests wrote a blessing on panels mounted on the walls, which will later be covered. 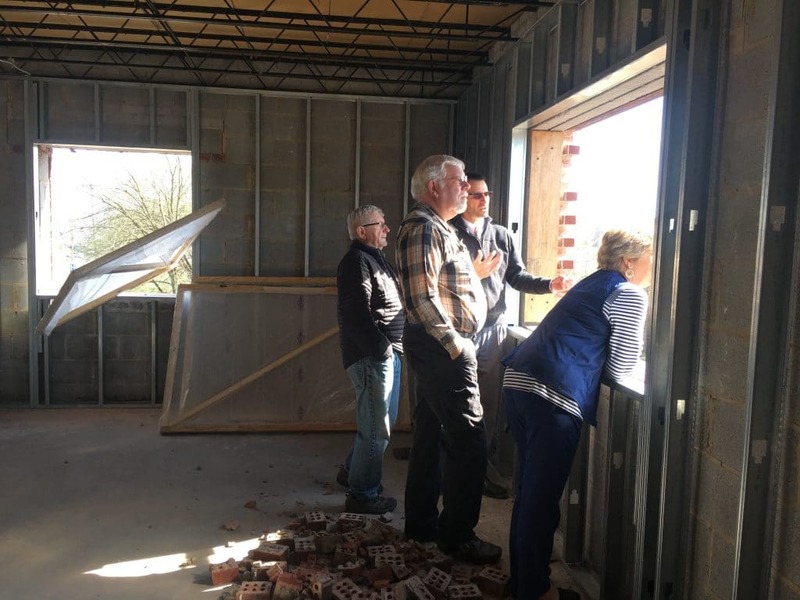 They shared scriptures, prayers and words of encouragement for the workers, the building and the children who will be nurtured within the walls. 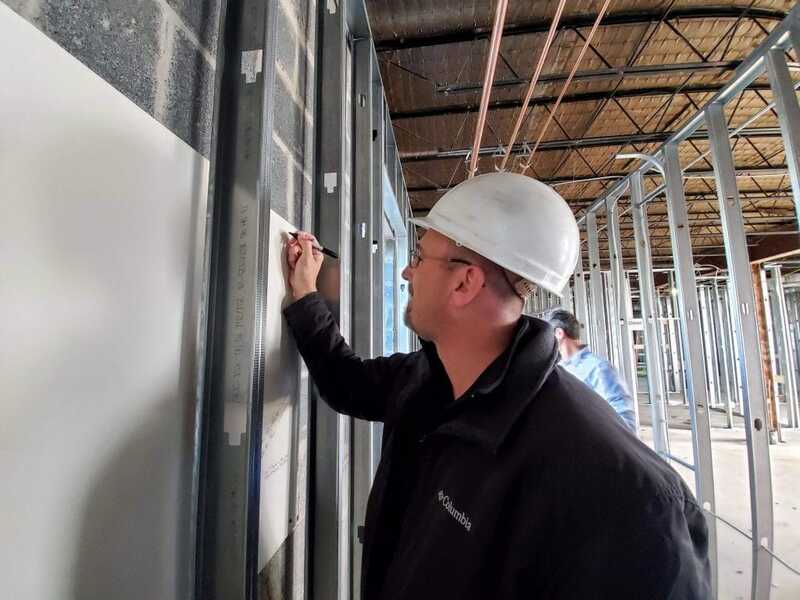 The boards will soon be covered with drywall, though plans include a visual access to the inner workings of the building, including the blessing boards, through learning portals. 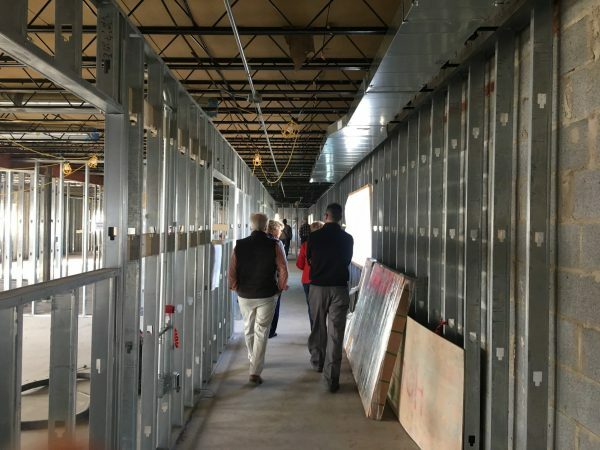 The project is on schedule for a late fall 2019 completion. 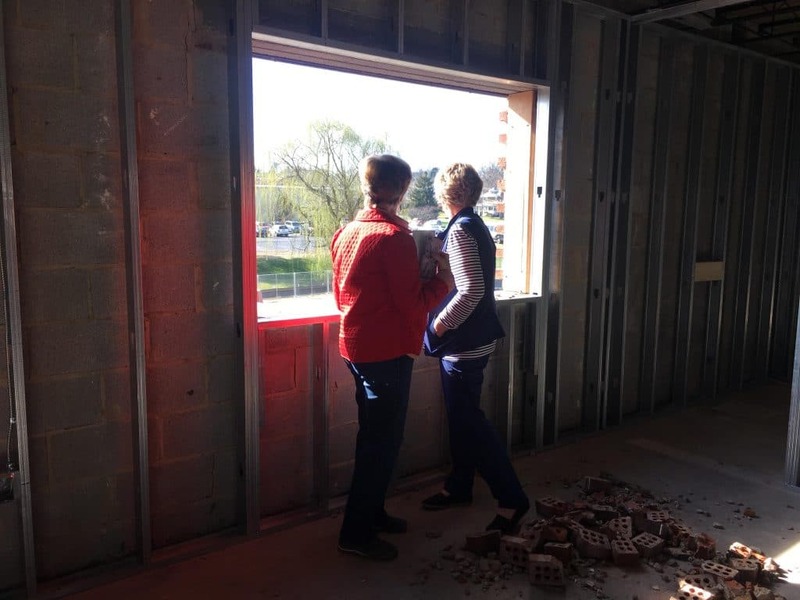 Going forward, parents of the elementary school are spearheading an effort to raise funds through selling engraved bricks to build a bridge that will connect the campus’ two school buildings.